Every fall and winter it seems to be unavoidable to go into hibernation mode and start eating a ton of food as fresh fruits and vegetables begin going out of season, and exercising less as being outdoors is a little too chilly. However, with fall also comes pumpkins and seeds and squash and tons of other yummy things that are so good for you, and delicious too! 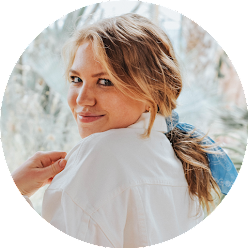 I spent way too much time on Pinterest yesterday, so I thought it would only be necessary to share a few of the delicious healthy recipes I discovered, perfect for fall! 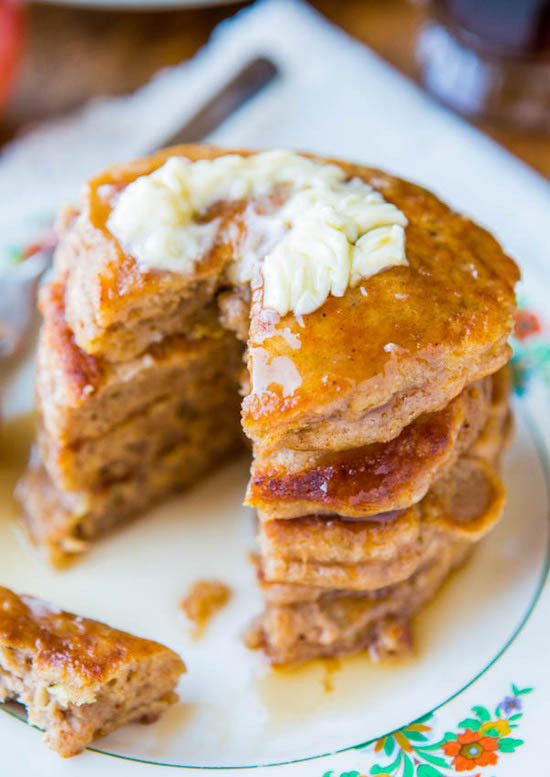 Apple Pie Pancakes - I'm a huge pancake fan, so if there's a delicious way for me to get my fix without feeling guilty, I'm all for it, and these looks amazing. Stuffed Peppers - With only 285 calories and 32 grams of protein in each serving, these peppers are an ideal choice for lunch or dinner that will fill you up! 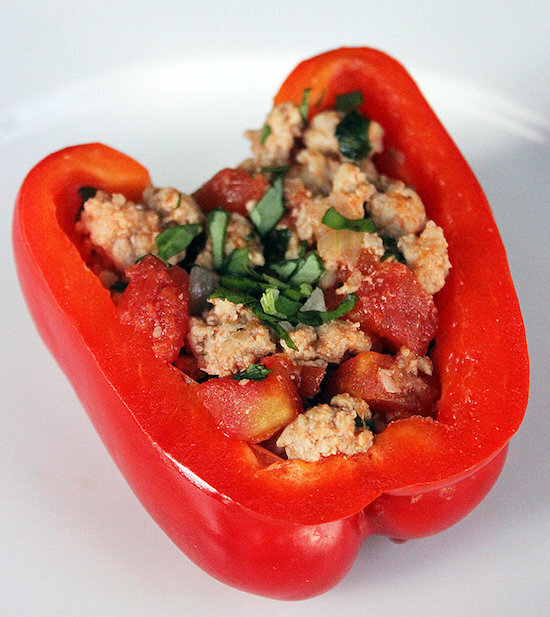 See my own stuffed pepper recipe here. 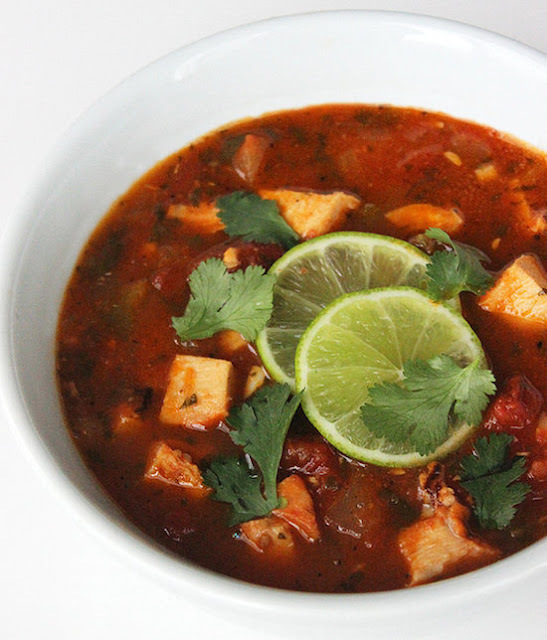 Tortilla Soup - This comfort food is perfect for fall and has less than 300 calories and almost 40 grams of protein. Honestly, a day full of this and Netflix would be amazing right now. 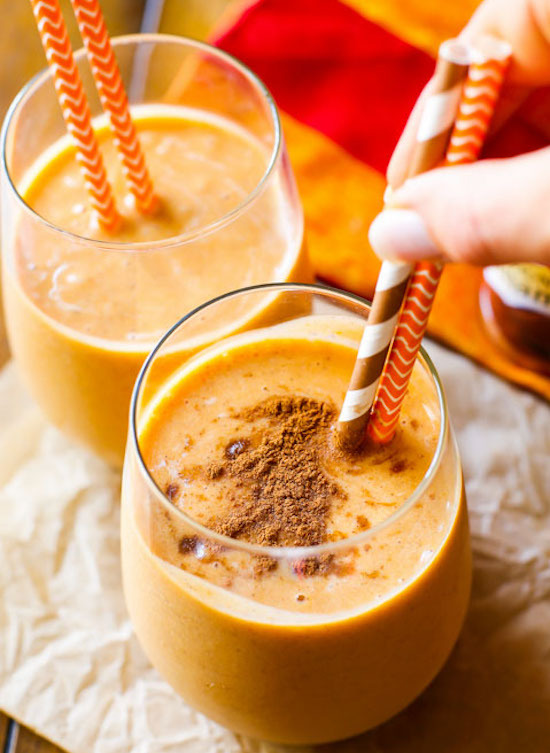 Pumpkin Pie Protein Smoothie - Any excuse to eat pumpkin pie for breakfast sounds good to me. 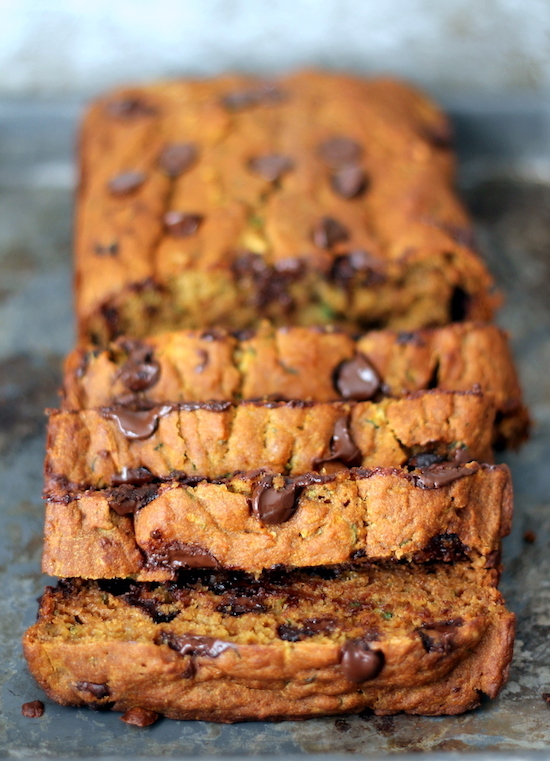 Zucchini Chocolate Chip Pumpkin Bread - Healthier versions of classic pumpkin bread are always nice to try, because you know the trusty recipe you've been using for years can always be improved! Do you know any healthy fall recipes?